Giant, cloudlike biscuits are Biscuit & Bean's specialty; their “Cheesy Biscuit” with roasted tomato jam is what garlic bread wishes it could be. And their cappuccino, made with local Velton’s Mexico Nayarita coffee and Twin Brook Creamery milk, is way better than most coffee drinks, even in this land of high-quality coffee. 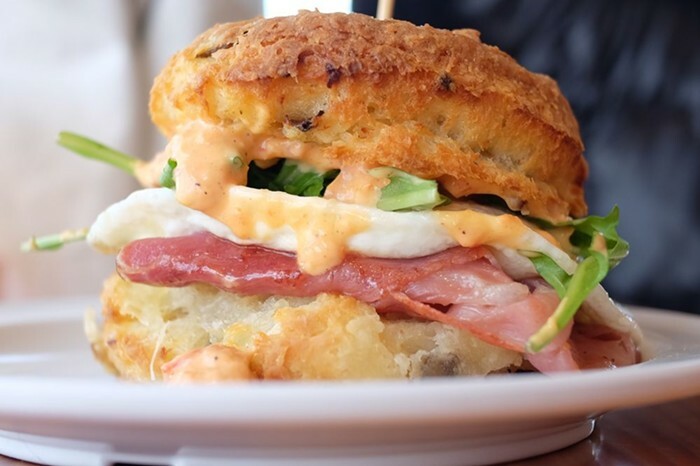 There is also house-made bacon jam and sandwiches, such as the popular “Spanish Fly,” with prosciutto, Manchego cheese, fried egg, arugula, and aioli.